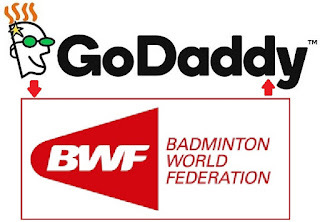 GoDaddy Inc. (NYSE: GDDY), the company that empowers everyday entrepreneurs, today announced an extension of its partnership with the Badminton World Federation (BWF) as a sponsor of major badminton events over the next three years. With this partnership, GoDaddy aims to continue raising awareness amongst sporting viewers, and among badminton enthusiasts, about the benefits of being online and creating an online presence for their business or ideas, to help their ventures grow. GoDaddy will continue as Official Partner of BWF Major Events, building upon its successful sponsorship of the TOTAL BWF Thomas and Uber Cup and TOTAL BWF World Championships in 2018. GoDaddy’s partnership with BWF continues the company’s collaborations with sport. GoDaddyhas been associated with prominent sports celebrities and numerous sporting events. In India, GoDaddy has been associated with cricket, in various formats, by sponsoring the 3 match Home T20 series vs Sri Lanka in Dec 2017, and 5 Test match Home series vs England in November/December 2016. GoDaddy has also been a sponsor of the Tata Mumbai Marathon and the Procam Airtel Delhi Marathon over the past year. GoDaddy offers an integrated suite of products for small business owners and entrepreneurs, ranging from domain names, hosting, website building, to email marketing, security protections and an online store. GoDaddy offers 24/7 customer support locally, to help guide customers in the growth of their venture, and to find the tools that best meet their needs.